each time you're in the kitchen." Do you get a sore arm holding your toddler? Are they too little to safely stand on a chair? Do they want 'up' and want to be included? 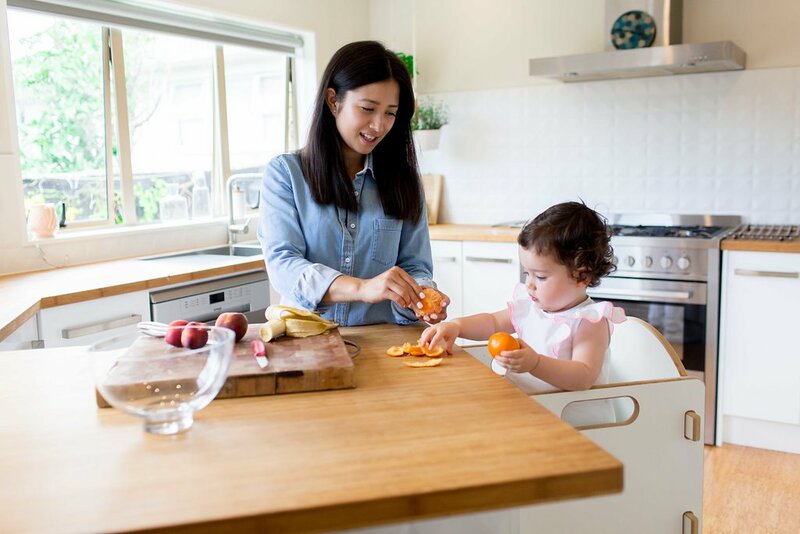 Simple activities like pealing an orange, water play in the sink, playing with plastic bowls, doing puzzles and drawing at bench height with your little one standing safely in the Arc Assistant helps facilitate brain development multiple times a day. Plus, you're also able to get meals prepared at the same time with no stress. Make a commitment to your child's safe learning in the kitchen. 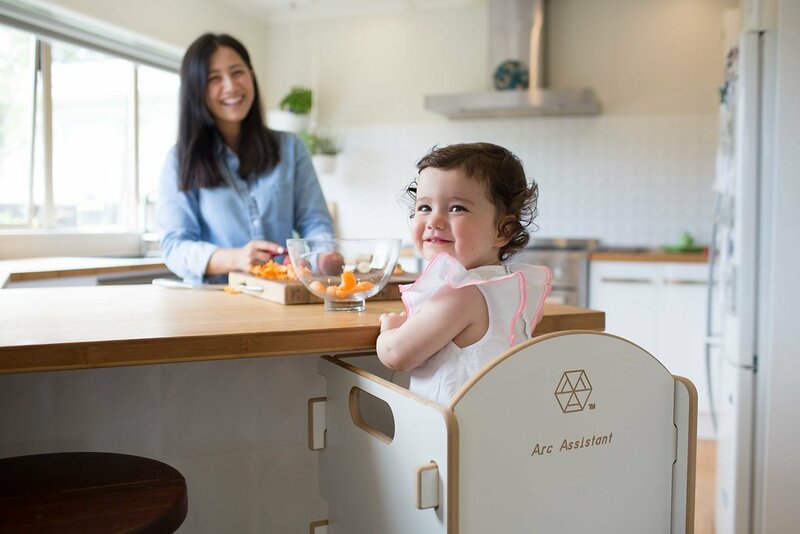 With The Arc Assistant experience less daily stress and more daily connected educational activities that support your toddler's brain development. Not only has the Arc Assistant been safety tested (full details on website), but it is also 100% made in New Zealand. 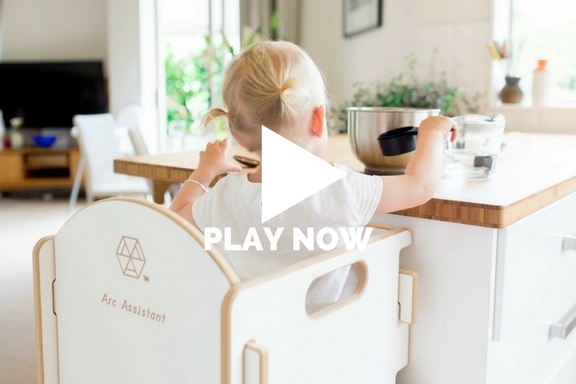 The Arc Assistants have a 100% 5 star review rating from happy parents, chefs and media personalities who are all love the Arc Assistant across New Zealand and Australia. 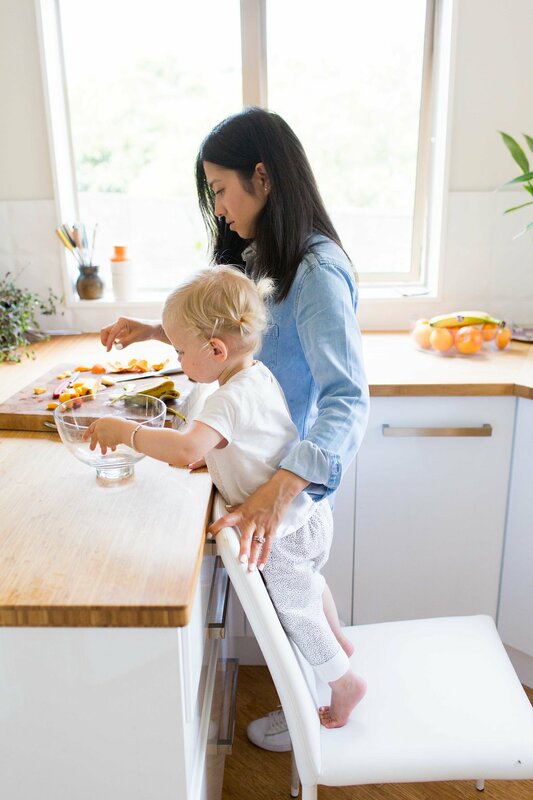 Nadia Lim - "My son Bodhi can stand in The Arc Assistant at the bench and help to make his smoothie or watch me make dinner - sometimes we bake together too, it's pretty cool and he loves it!"